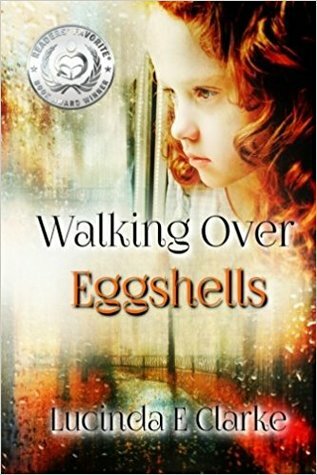 Walking Over Eggshells: Surviving Mental Abuse by Lucinda Clarke is an autobiography where she has changed all the names to protect the innocent and guilty. The novel is about Lucinda’s life and how she survived growing up and living with mental abuse. Lucinda’s mom had narcissistic personality disorder, and this impacted her entire life. She uses this novel to show that despite growing up with this abuse she still lived a life full of adventure, had a family and eventually had a successful career. You will laugh at some of the stories, cry at others, and be outright shocked by many and wonder how this girl survived to write this. Through it all Lucinda was able to grow and keep up with the times, she was born in the 1950’s and has had to adapt with a drastically changing society while continuing to endure the mental abuse of her mother at every turn even into her adult years. The beginning chapters of the book tell of how Lucinda’s parents met and the eventual death of her father when she was only two. From there we are introduced to the never-ending criticism, punishments, and agony that Lucinda as a child endured. It is heartbreaking reading her words begging for a cuddle or a word of love and compassion from the women that called herself her mother. As a teen, the typical back and forth arguments continued, the younger generation is ungrateful, they need to do their part, so selfish, these are common themes even today we hear about the millennials. With Lucinda though, it is deeper, her mother really did expect her to do everything for her, and even when she did it was never good enough. The emotional struggle and need for love and acceptance is one that many readers can relate to, those that live with constant mental abuse will relate to Lucinda and see how she coped with the abuse while understanding why she continues to have a relationship with her mother. Once Lucinda meets and marries Jeremy her life adventures take off. They never stay in one place long, always moving from one job to the next, involving everything from traveling encyclopedia sales to sketchy engineering jobs in South Africa. In a way Lucinda traded one form of abuse for another, she loves Jeremy but he takes advantage of her and plays on her need to be loved. This is the part of the story where you read and think ‘is this real?’ how can one person put up with so much? That, I think, is the real story behind this book. You can survive though mental abuse even when that abuse spans the majority of your life. Throughout the book, Lucinda finds a way to make the best of her situation. She is willing to work be it animal breeding, filling, cleaning hotel rooms or writing. She never gave up no matter where she lived or what was going on with her and Jeremy, or her children, or her mother, she pushed forward and didn’t just survive the abuse, she made something of her life that she is proud of and even enjoyed at times. It is emotional, and at times hard to read; but Lucinda will make you believe anything is possible to overcome with the right mindset.